Each day in 2014, I am taking a photo. There is no telling what the photo will be or where the “inspiration” will come from. All photos are taken either with my Nikon D5100 or the iPhone (for those times on the go). Come back each Friday for a complete compilation of the past seven days and link to join / view others as part of the 365 projects! Let’s just take the elephant out of the room and say I’m way behind on this. I fell off the wagon and the wagon drove off. Obviously, I haven’t been taking a photo everyday so I’ll just fill you in on some of the stuff that’s been going on. Not going to lie… these may all be with my phone. Get ready anyway, living is exciting! I think this was the first band I ever saw in Texas and eight years later they’re still one of my favorites. Velvet Love Box – one of the best cover bands you’ll ever see. Ok, who are we kidding… the best cover band you’ll ever see! The Leavitt Pavilion in Arlington holds free concerts outside at the park from May until September. It’s an incredible opportunity for the community! On this night, we sat in the rain for Charla Corn and Cody Canada and The Departed. Soaked. Do you need reminding of how hard it is to take wet jeans off? Let’s just say it’s a good thing I didn’t have to use the facilities while I was there! I headed down to Austin to meet up with old friends, spend some time on Lake Austin and go camping. Made new friends and oh hey, saw a little fire dancing. A little Mickey and The Motorcars at the Capital Bar in Fort Worth? Oh don’t mind if I do! Always a guaranteed great show! One of the best beer labels I’ve seen! If you are in Fort Worth – find yourself at the Bearded Lady. It’s greatness! Girls Night. Movie: A Fault In Our Stars. Drinks and dinner at BJ’s Restaurant. Enjoyed some delicious mahi-mahi. Lighter Than Air benefit for CF at The Capital Bar in Fort Worth. Grady Spencer and the Work started it off, followed up by Steve Helms, Courtney Patton and Michael Padgett. 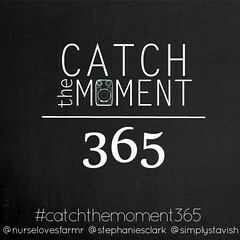 This entry was posted in Catch The Moment 365 and tagged Catch The Moment, Food, Music on June 13, 2014 by Diana. I love The Leavitt Pavilion in Arlington!! We used to go there all the time. We live in Fort Worth now, so thanks for the recommendations! It’s a great event / opportunity for the community! If you’re in Fort Worth now, check out Friday’s on the Green off Magnolia Street. Live music, local wine, beer and food the first Friday of the month (I believe). Great pics. I should have participated in this project! Talya Tate Boerner recently posted…How High’s the Water Mammaw Ruby? Never too late to join! I saw Fault of Our Stars too, I loved it! Me too! Did you read the book? If not, I definitely recommend it.